Muzaffarabad (Friday, February 01, 2019):- The central Directorate of National savings of Pakistan will held Prize bond Rs. 7500 Balloting draw on 01 February, 2019 at Muzaffarabad city today. You can check Rs. 7500 Prize bond list 01.02.2019 held in Muzaffarabad online on this page. This is 7500’s 77th common Draw till so to date. 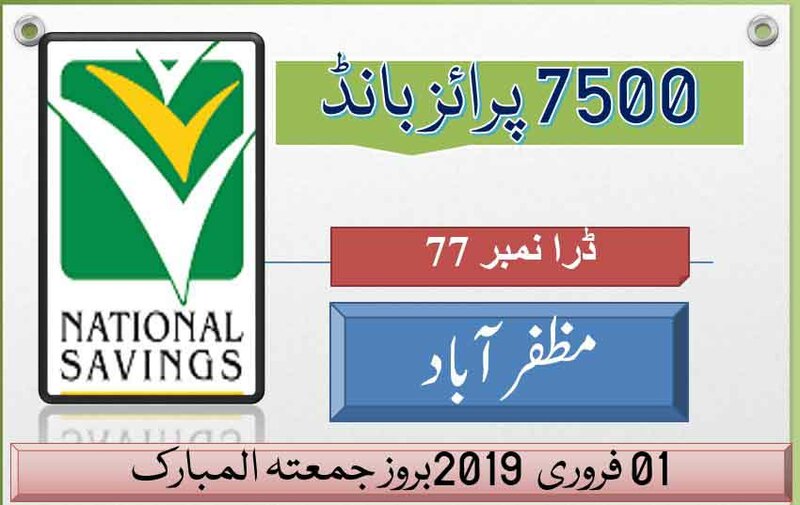 The balloting draw of 7500 prize bond 2019 will start at 9:00 am in Muzaffarabad National savings office by announcing first and second winners Prize bond lucky number of Seventy Five Thousand Rupees Prize bond draw 2019 Friday. And the full list of 7500 Prize bond list February 2019 will be updated by bondresult at 5:00pm here that is announced by savings.gov.pk. 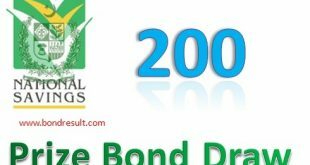 You can search 7500 Prize bond 2019 Full list of Draw No. 77 on this page. Check some features of 7500 Prize bond list February 2019 recent draw going to be held in Muzaffarabad city on 01-02-2019 online by National savings of Pakistan Muzaffarabad office. 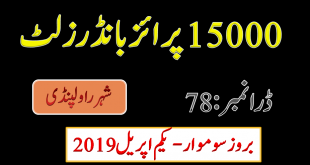 Today 7500 Prize bond list February 2019 draw is being announced in Muzaffarabad city at 9:10 am and the full draw list of Seventy Five Thousand Prize bond February 2019 will be updated here.